Are you enjoying SYTYCD this summer? If so, you will be happy to know there is a new show that will feature more young dancers as well as dancers who may be ready to embark on a career in dance and are just waiting for their moment to shine. NBC is jumping on board the dance bandwagon with a new show featuring dancers in three different age divisions: Juniors Ages 8 – 16, Upper Ages 17+ (1 – 4 dancers), and Team 5 – 20 dancers Ages 17+. 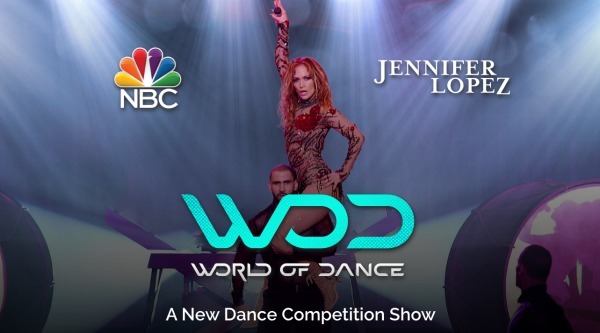 J Lo’s World of Dance Competition Show is accepting online applications until August 26, 2016. If you are familiar with World of Dance, one particular style comes to mind – hip hop. This show will be different though, they are looking for dancers in a variety of styles from tap to contemporary, ballet to hip hop, breaking to ballroom, and any other style of dance you have that sets you apart from the crowd. Need more details? Check out the latest info and audition details here. Can’t wait to see what this show will be like and love that once again, dance is in the spotlight.